Sleeping mask, I need a bunch of you! Nothing can be more enjoyable than having some "me" time and pampering my skin by sleeping in with a mask on. 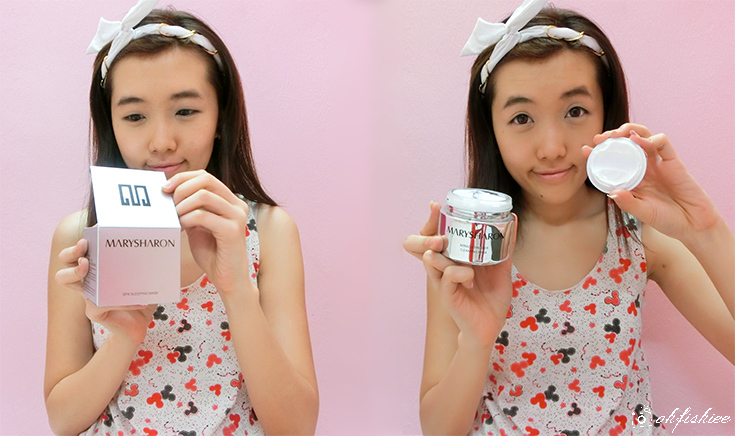 I am recently introduced to Mary Sharon 美丽誓颜, a Chinese brand which has been gaining much popularity recently. This much raved after mask sells around 10 bottles per minute worldwide! I have read some online reviews that rave about the product, and finally now I get to try it out myself. MarySharon emphasizes on the importance of water as the life force of nature, and maintain balance of skin, soft, radiant main elements. With its exclusive Golden Seaweed Essence moisturizing ingredient, it gives an instant moisture boost and locks water deep into the skin. That is totally what my dry skin needs! But if you have normal to combination skin, it would be as great because the mask helps to balance oily skin, improve dull complexion and restore skin vitality. Comes in a jar, the packaging itself looks very expensive, but actually the product is only RM129 for 110g, which is quite reasonable as compared to its counterparts in the market. It does not come with any spatula, but I prefer using one to keep the remaining content at its best hygiene level. Texture wise, it is thick, smooth and creamy. Initially, I was worried if it might feel heavy on the skin, but to my delight it is very lightweight and does not leave my skin greasy at all. 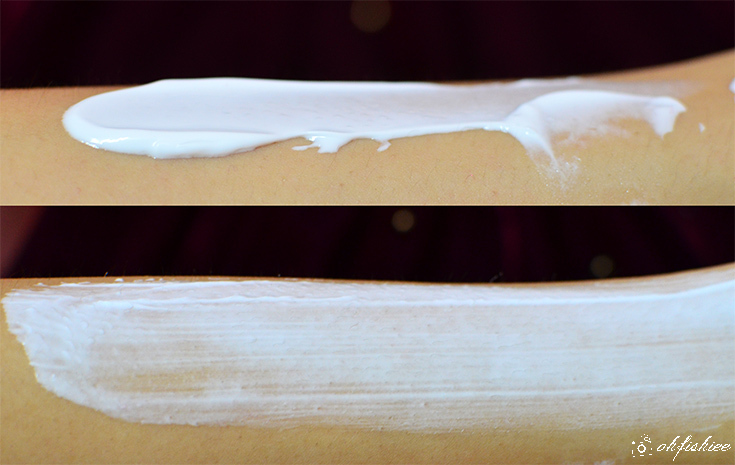 A close up shot before and after spreading the mask evenly. 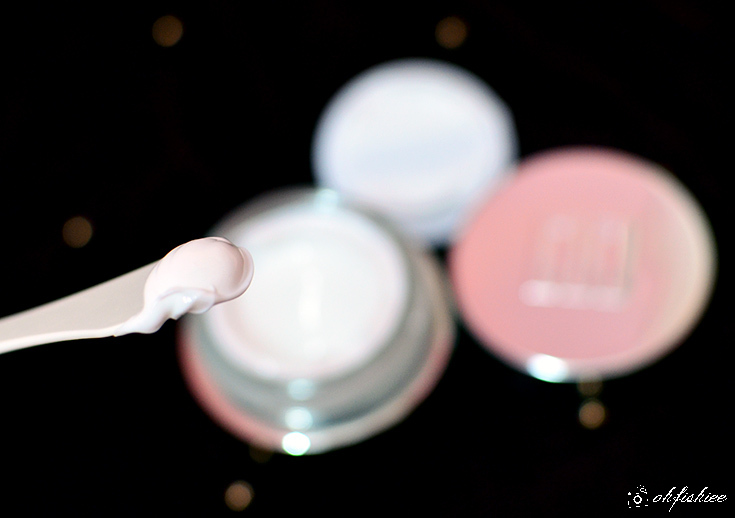 which makes it very versatile and I can pamper my mask anytime I can! Leave a thin layer overnight and wash off in the next morning. 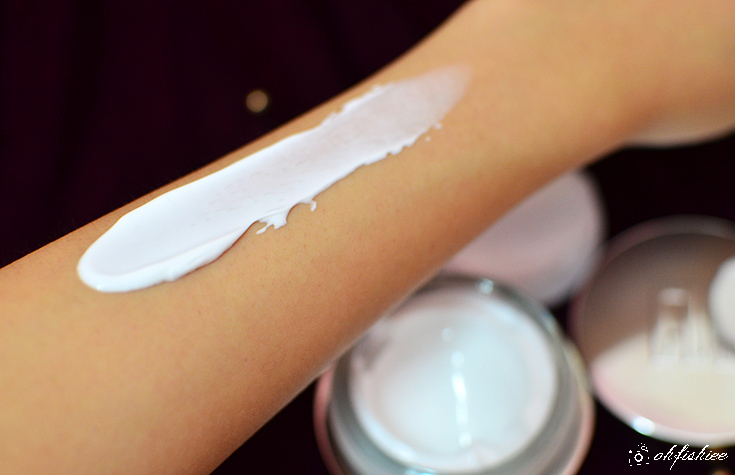 Apply a thin layer and wash off after 5 minutes before makeup. The first two methods are what I usually do, but I am surprised about the third method that the mask works well in helping the fresh makeup stay in place a lot longer. 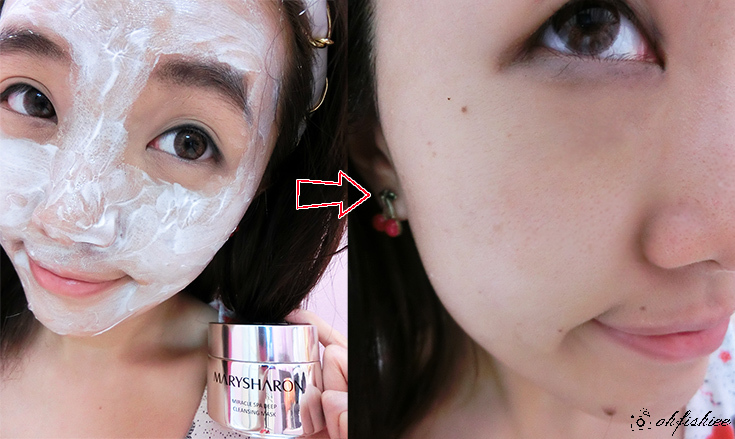 It seems to prep the skin a layer of moisture and hold the makeup better after that. As for me, I still prefer the most fuss-free method that is to leave it on overnight, especially during exhausted evenings when I just want to have a good night sleep. The best part is, we want that soft, dewy glow in the next morning, don't you agree? After doing the mask, my skin feels softer, plumper and firmer. The overall skin tone is brighter, with a more even complexion. Open pores are still very much visible, but there are lesser appearance of blackheads, whiteheads and breakouts. Hopefully using it twice a week diligently will further improve the skin moisture and complexion by leaps and bounds. #1 Good at deep moisturizing, whitening, brightening and calming the skin, but regular use is compulsory for the best result. #2 The mask absorbs into the skin very easily without any greasy residue, and it leaves a pleasant moisturized sensation. #3 I love the classy and sturdy packaging, as well as its 3-ways functionality that keeps my skin hydrated regardless of my busy routine. 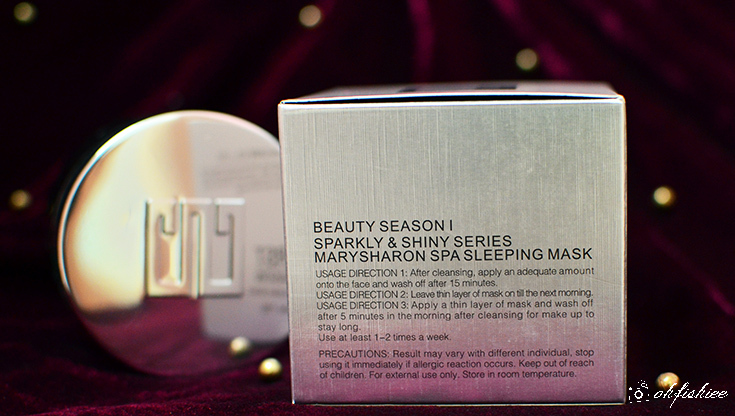 How about you, have you tried this Mary Sharon Spa Sleeping Mask? If yes, does it work for you? Feel free to share your thoughts with me by leaving a comment below! MarySharon products are available at Watsons, SaSa and SHILLS Beauty Houses nationwide. Haha cute review of the sleeping mask dear! wow I like your video pic :D hehe. nice.